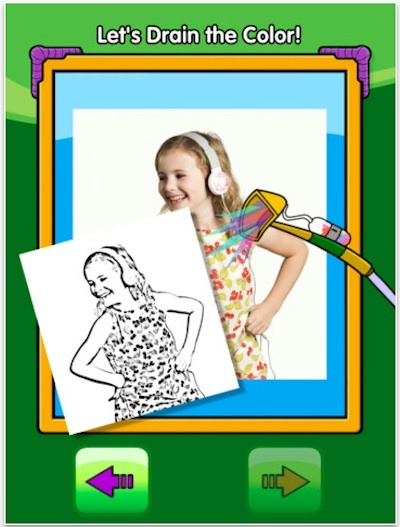 Convert any picture on the iPad to a coloring page… stay in the lines! A quick poll around the office, no one got a box of 64 colors Crayons as kids. But, everyone did color, with whatever colors they had. 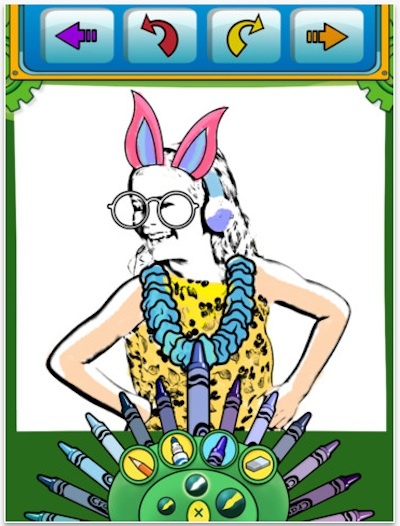 The whole ‘kids coloring’ books has changed now that Crayola has come to the iPad. They released a fun stylus last year, which several of us have, just for fun. Now, they have rolled out a literally endless number of pages coloring book. The basic Crayola Lights, Camera, Color! HD app converts any image you have on your iPad (or take with the iPad2 camera) to a line art, ready for coloring. Included 64 crayon colors, 24 colored pencils, 10 Crayola markers and even an eraser. To add a bit of personality to the images, Crayola tossed in 12 sticker sets. Including Goofy Glasses, Hilarious Hats, Head & Facial Hair, Ears & Noses, Eyes & Lips, Silly Speech Bubbles, and more. More than 100 stickers in all.